Since its founding in 1922, the Raymond Corporation has been a leader in the materials handling equipment field. 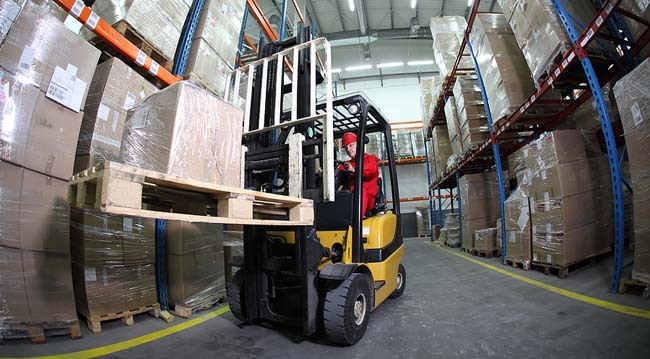 Taking a hands-on approach to forklift design and manufacturing, Raymond engineers don’t just sit in isolated offices drawing specifications, they actually go out on the road and visit factories and warehouses in order to better understand their needs. Similarly, Reconditioned Forklifts does not just sell used Raymond Forklifts and miscellaneous equipment online. We are a team of dedicated materials handling experts who know from first-hand experience what our customers need. Does the seller’s good reputation precede it? Does the seller know the product it is selling? Do they inspect their used goods and have a “full disclosure” company policy? Are their products backed by a dependable warranty or guarantee? The Bahrns reputation for quality and service spread by word of mouth, not advertising hype. With nearly a half century of service behind us and a dedicated team of materials handling professionals on our staff, we know our products inside and out. Our factory trained service technicians inspect and checklist every forklift that comes into our inventory. All information, both good and bad, about a used Raymond forklift for sale on our website is clearly presented to you. Our classification system guarantees that you will receive an appropriate warranty or guarantee for the used forklift of your choice. “Guaranteed Operational” means just what it says: the forklift will be in working order when it arrives at your door. “Reconditioned” forklifts have been thoroughly reconditioned by our factory trained service technicians and come with warranties backed by the Bahrns 40 year history of integrity. Buying a used forklift online is not like downloading a software program. You want to know everything about the company you’re buying from and the forklift you’re purchasing before you make such a significant investment in your business future. That’s why we encourage you to contact us directly with any questions you may have.